When it comes to structural steel fabrication Architects, Designers, Engineers & Contractors rely on American Structural Metals, Inc. from start to finish ~ from estimating, design, detailing & drafting, to steel fabrication, cutting, bending, welding & coating, to the final on-site joist, deck & steel erection. ASM is highly equipped to fabricate a vast array of structural steel designs on a grand scale. No job is too big or small. Our team has the knowledge, confidence and equipment to meet deadlines and adhere to tight schedules all while staying within a budget. Do it right - do it once. With a little welder and a small torch back in August of 1972, Fred Riermann founded Miscellaneous Metal Fabricators. The bending, shaping and welding of steel into decorative and artistically appealing designs filled an industry need. By 1984 he had combined his new company, American Structural Metals, with MMF and expanded his business to include structural beams and metals. The strong company foundation is built on a reputation of honesty and doing what is necessary to complete a project successfully and beyond expectation. Working closely with architects, engineers, owners and contractors, American Structural Metals has grown into a multi-million dollar company with over fifty highly trained craftspeople and welders who are all AWS (D-1.1) certified. 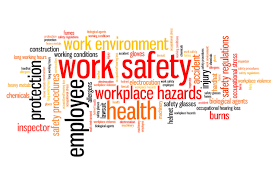 Safety and health protection are the number one priorities throughout the daily operations at American Structural Metals, Inc. By working as a close knit team we are continuously focusing & implementing the safest working conditions. To eliminate employee work-related injuries and illnesses we, first and foremost, aim for prevention. Monthly safety meetings & training sessions help us to achieve a safe working environment as well as reaching our production goals. Management involves & encourages employees to participate in the planning, developing and implementing of safe working conditions.